LifeWay released this rendering of its proposed office building on 11th and Clinton. LifeWay will leave behind its campus on 10th and Broadway. The 125-year-old religious publishing arm of the Southern Baptist Convention sold its campus last year for $125 million. They will leave behind an office tower known for its signature 10-story tall Christian cross and relocate about a mile away. But as Mayor Megan Barry describes it, LifeWay had the chance to go much farther. “When LifeWay was announcing the sale of their downtown campus, it really wasn’t clear if they were going to stay here in Nashville,” she said Thursday. That worry is one reason Metro is kicking in about $3.5 million — not in incentives or tax breaks, but to spruce up what had been a barren industrial area. Capitol View is redeveloping 32 acres north of Charlotte Avenue, just west of the state capitol. The money will improve surrounding streets, sidewalks, and water lines, and add a 2-acre park, plus greenway extension. 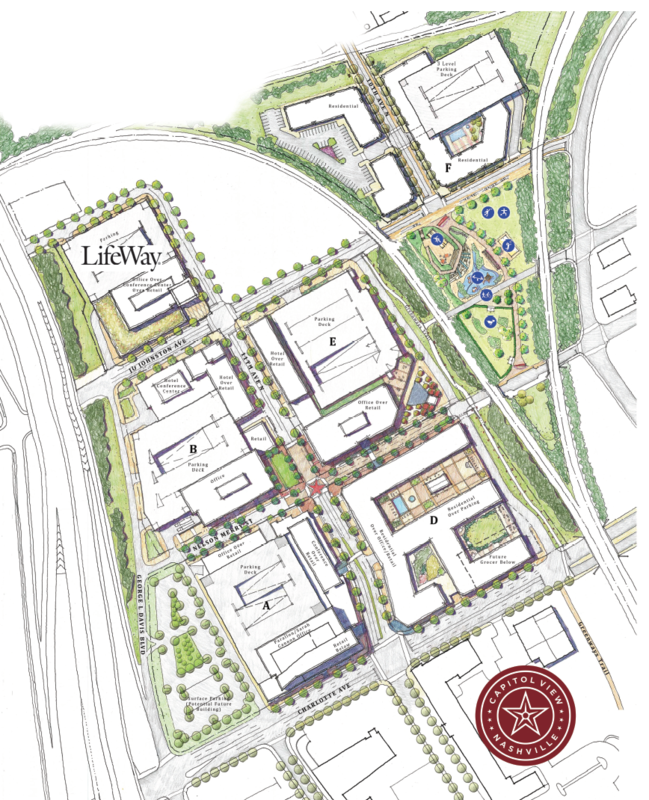 The walkable, modern development known as “Capitol View” lured LifeWay CEO Thom Rainer. “We believe that Capitol View will offer the amenities that LifeWay’s 1,100 corporate employees, visitors, and guests will need for perhaps the next 100 years,” he said. Rainer said the amount of interest in the former campus at Broadway and 10th Avenue North “speaks volumes” about the drawing power of downtown Nashville. The company is now the sixth-largest employer of IT workers in the region and the latest to locate onto Capitol View’s 32 acres off Charlotte Avenue. A new HCA office tower is already being built next door. 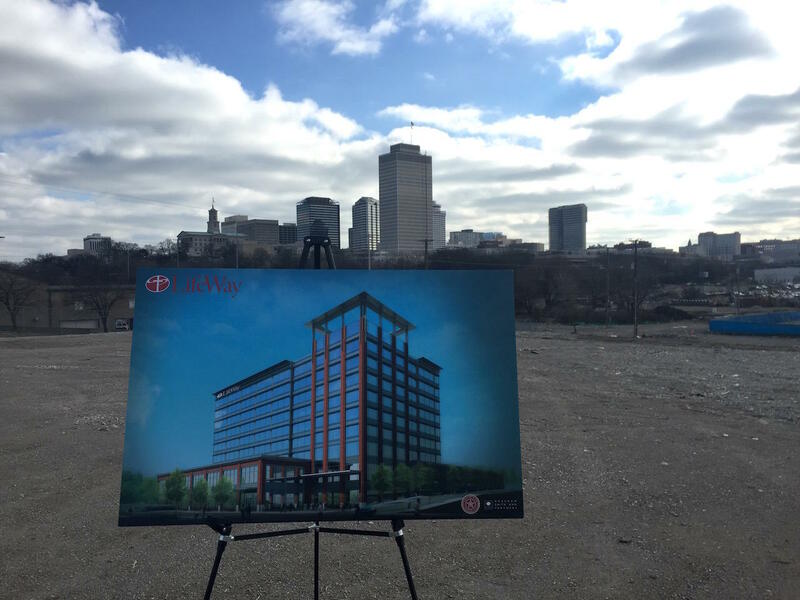 A rendering of LifeWay's new headquarters is seen facing east, with a view of the Tennessee Capitol in the distance.